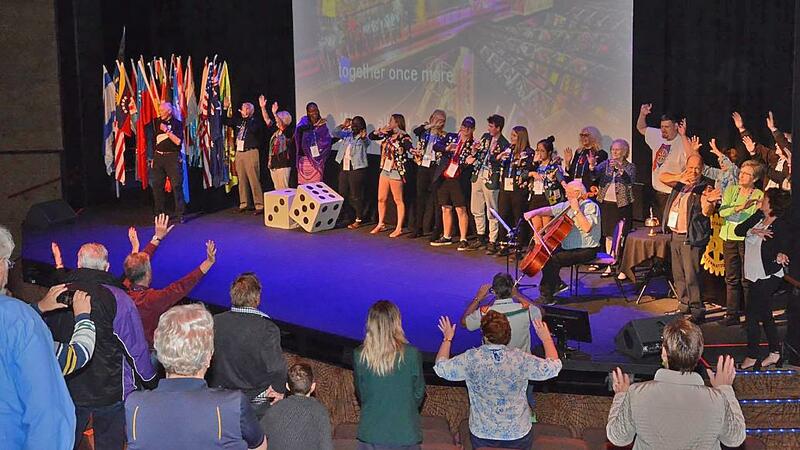 The 2019 District Conference came to a close with a stage full of singers waving and swaying and bringing the curtain down on a classic conference. The three day event was packed with outstanding speakers, attended by a 5 year record 320 Rotarians and included a large contingency of Rotary and Business displays in the Rotary Showcase. It was preceded by the Polio Awareness Ride Across the District Expedition including an iron lung called Maggie. Click here for a photo album of the weekend taken by John and Marie Egan.